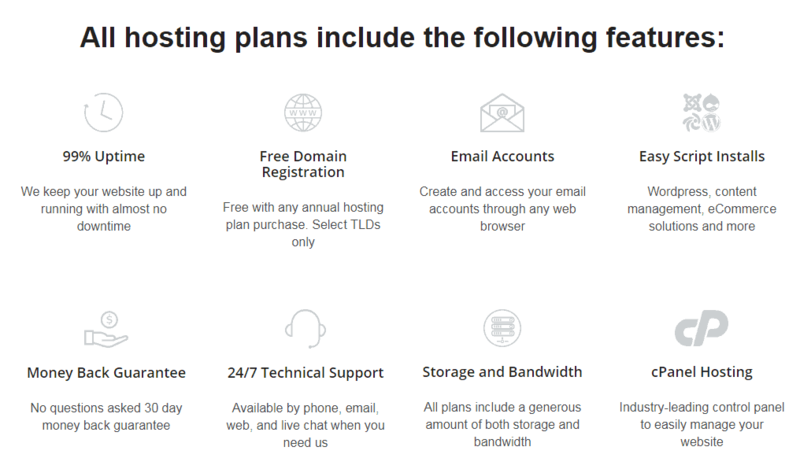 Directnic Review 2019: Is Directnic a Good Hosting? Directnic is a U.S.-based web hosting provider that offers affordable packages for website hosting as well as website builders. They have an easy-to-use cPanel that allows even users with not much technical knowledge to efficiently manage their websites. Directnic is based in the United States and since its inception has been serving its customers by providing quality web hosting services. They not only help the average casual bloggers build an internet presence, but also host websites for more professional customers and businesses. Directnic’s hosting services are offered in three different packages named the Lite Plan, Pro Plan, and Deluxe Plan. With each plan, they’re pretty generous with the amount of disk storage and bandwidth they provide. None of their packages offer unlimited resources, however, which might put some of you off. They try to make it up with other features like an easy-to-use cPanel installation and a free domain registration with the purchase of any annual hosting plan, but these features are often included by default with most hosting providers, so it doesn’t stand out. That said, you do get to create up to three FTP accounts even in the Lite plan, which is good. The number of domains that you can host on each plan starts at three and goes up to 15 and 30 for the remaining two packages. I like the fact that even in the Lite plan I can host up to three domains, so I don’t have to buy an expensive package just because I have more than one domain. Directnic promises a 99% uptime, though this pales in comparison to the 99.9% industry standard. Features like the Weebly website builder and SSL certification also aren’t included as a standard part of their hosting packages; you’ll have to pay extra for these subscriptions. That said, their choice of Weebly as a website builder is a solid one, as it’s one of the user-friendliest builders in the market. The website builder will be particularly attractive to individuals and small business owners setting up a website for the first time, as it eliminates the need for you to know any programming languages and enables you to create a professional-looking website without much fuss. With any of their hosting packages, you can easily install a number of popular scripts via the cPanel. This includes content management systems such as WordPress, Joomla!, and more. Directnic is affordably priced and their packages can definitely hold their ground compared to similar offerings from their competitors. However, the fact is that there are other service providers who offer unlimited resources and many more features for about the same price. Therefore, make sure to do some research before you commit to them. Directnic has a 30-day money back guarantee, allowing you to test their services out risk-free. If you’re not satisfied at any time during the 30-day period, they’ll refund you the money with no questions asked. They not only have a live chat but also a great overall support system. You can easily create a support ticket and let them address any problems that occur. Alternatively, you can call them during working hours from Monday to Friday (Central U.S. time). They also have a comprehensive knowledge base with detailed articles on almost all aspects of the services they offer. All support services except telephone are available twenty-four hours a day. Directnic may not be your choice if you want unlimited features, but they certainly do offer enough features to cover your basic needs. Their prices are great, but you might find better hosts for a similar price range if you look hard enough. Wondering how Directnic stacks up against other Web Hosting companies? Enter any other Web Hosting company and we will give you a side-by-side comparison.